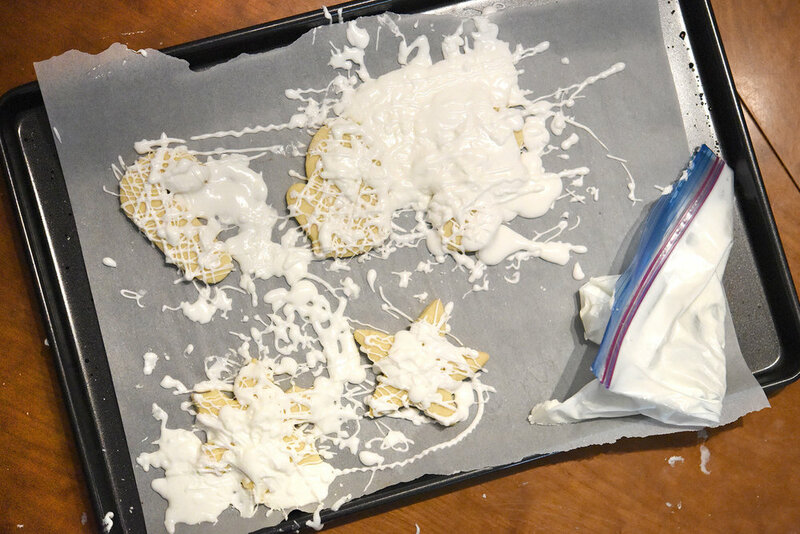 5 Helpful Tips for Baking with Toddlers — Triangle Pastry Co.
My preschooler had such a good time decorating holiday cookies last year. The mess was mostly contained to the sheet tray and when I separated the cookies from the icing overflow, they were actually quite pretty. I love when my kiddo wants to help. But sometimes that's a challenge when I'm baking because measurements and temperatures are very specific. I came up with a short list of tips for keeping little ones involved, occupied, and safe in the kitchen, while still turning out an aesthetically pleasing quiche or uniform cookies. Two year olds aren't exactly known for being precise. But they do love to scoop. If you have them weigh all of the ingredients, you can still be perfectly accurate in your measurements. Kids are going to want to cut whatever you're cutting. Teach them how to use a knife. And give them appropriate things to cut with said knife. I won't give my son a chef's knife just yet. He's 3. But I will give him a moderately dull knife to use for cutting soft ingredients. Nothing that would require any real pressure to slice through. For example, a regular table knife is generally adequate for cutting bananas and strawberries, roasted fruit and vegetables, slicing cherry tomatoes or grapes in half, etc. Definitely don't give a dull knife to cut something hard like a carrot because that's asking for trouble -a dull knife requires more pressure and you have less control over it. Let your child cut a carrot with a real knife when they're ready. And always supervise. 3. Engage all five senses. Baking can be a really awesome experience for toddlers. Talk about what you're doing and what you're going to do next. Let them smell and feel all of the ingredients, make noise with the whisk, and watch changes that occur with mixing and heat. You can make it even more fun for them by incorporating different colors and shapes. Obviously, they will want to taste the final product, but let them sample flavor development along the way (if possible) as well. 4. Give them their own portion. When I'm rolling pie dough or cutting sugar cookies, I give my 3 year old his own little bit of dough so it doesn't matter if it gets overworked. He can pound, roll, and stencil to his heart's content and so what if the dough becomes a sticky mess? I know my end will still come out mostly pretty for dessert at Grandma's brunch table. Same with decorating. Give them a few cookies or cupcakes and plenty of icing. 5. Everybody helps clean up. It's going to be messy. Just make your peace with that. As a professional baker, it's really frustrating to have a sloppy workspace. Try to teach your kids to keep tidy as they work, but this isn't baking bootcamp. Don't be a drill sergeant. Toddlers want to help do everything. And they should. Cleanup tasks like putting things in the sink, sweeping the floor, putting their step stool away, etc. are all things they can easily do.